Clean Waves is stopping the leak of plastics before it even reaches the ocean. We use satellite data to find sources of plastic accumulation in waterways, and studies the flow of rivers to find the land based sources. Using this method we have identified over 1,000 accumulation sites in rivers and illegal and overfilled dumps. We believe that an ounce of prevention is worth a pound of cure. Clean Waves is a trusted partner for many companies and individuals looking to purchase the recoverable plastic waste. Our goal is to simplify the supply chain as much as possible. What that means is that we make connections directly with factories and waste sites. Further, we seek to build a direct connection with the locals whose communities are affected by the pollution and producers to make sure that we improve both their lives, products, and communities. Currently, we are traveling throughout Mexico, The Philippines, and Southeast Asia surveying sites and working with locals, recycling centers, and manufacturing partners. Clean waves uses satellite data to track the location of naturally occurring waste accumulation sites in waterways. 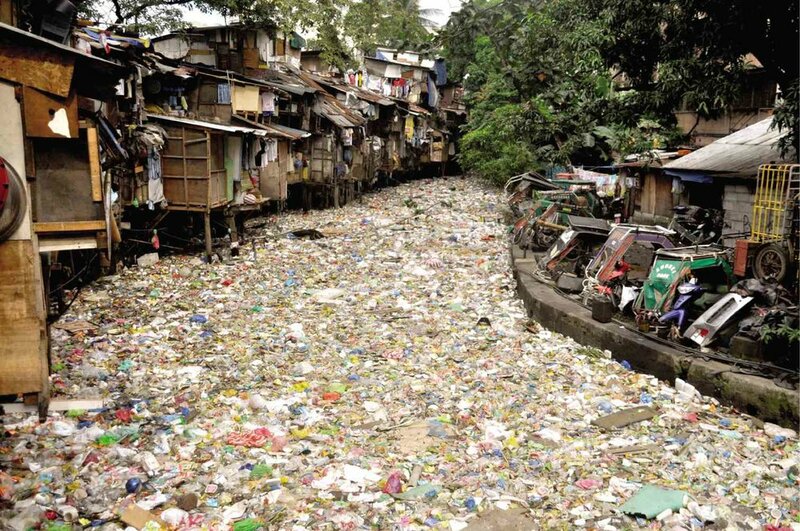 Most plastic enters the ocean from freshwater sources, namely rivers. By following the flow of rivers from the ocean we can determine where to intercept plastic. We have a database of 1,000s of waste accumulation site. Clean Waves team works directly with locals to clean up and collect the waste, as well as partner with local recycling facilities to clean and process the plastic. This provides locals with a source of income while they help to improve their communities. Once the plastic has been collected we work with local recycling facilities to clean and process the plastic so that it can be used in products. Once the plastic is collected we make sure that it is turned into products or properly recycled. by intercepting plastics early, we can find much higher quality plastic as it hasn’t been degraded by the sun and salts as much as ocean plastics. As a result, we can turn this waste plastic into high quality products. We work with dozens of factories who can make products ranging from outdoor goods, clothing, sunglasses and more.